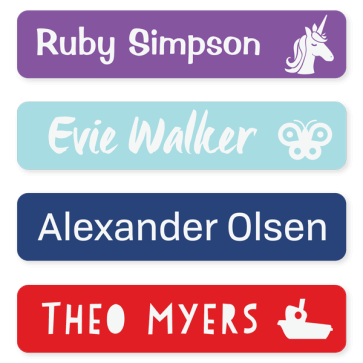 Loved my labels- just what I had hoped for. Great product and good delivery times. The stickers match the online pictures and font. Very satisfied with them. 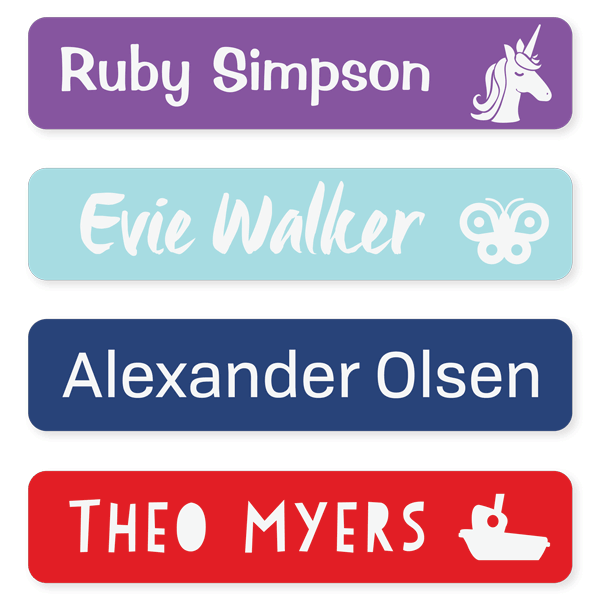 Perfect for lunch boxes or labelling big books or folders. My grandchildren look forward to getting their school labels each year. Love these labels. I use them on my child's lunchbox, snack boxes and water bottles. They last long and are very tough.